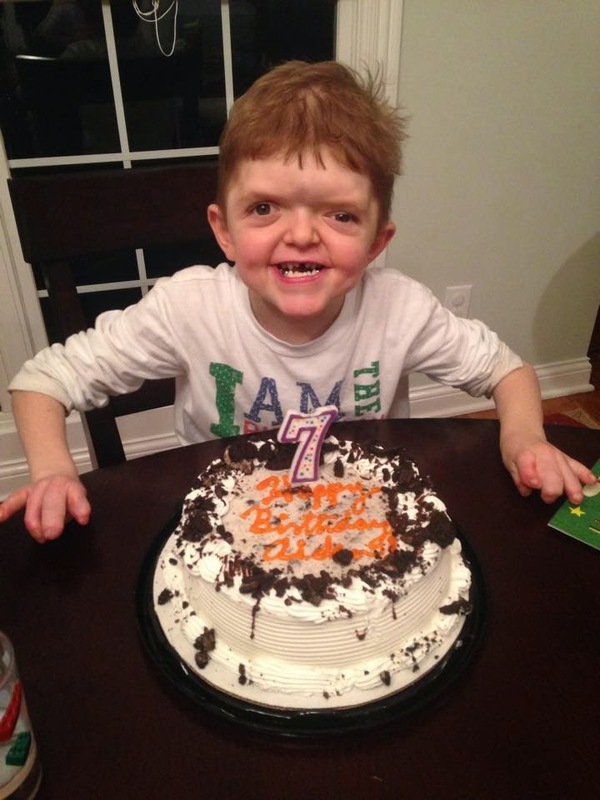 Last week we celebrated Aiden's birthday with 7 candles on the cake. As most parents do, each year I say, where did the time go? 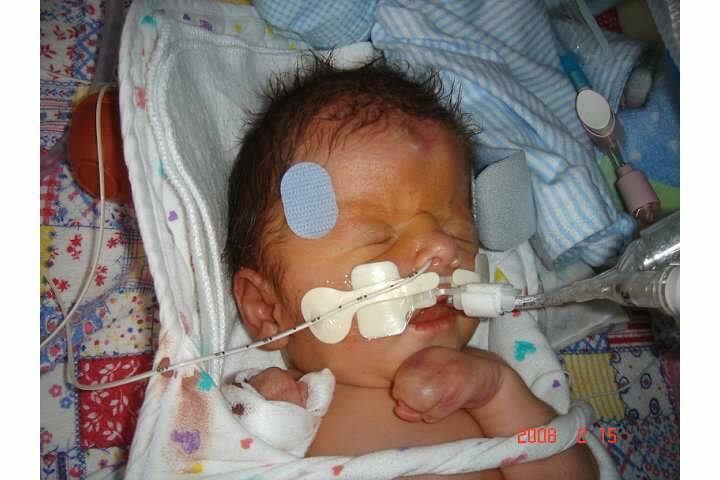 The first couple years of Aiden's life were some of the toughest. But these last few? Nothing short of amazing. If you haven't followed our story from the beginning, below are some of my first posts ever, as he was the reason I started this blog. As I reminisce about the roller coaster ride, I'm often transported over and over again to the delivery room. The hushed doctors, the dim lights, the beeping machines. 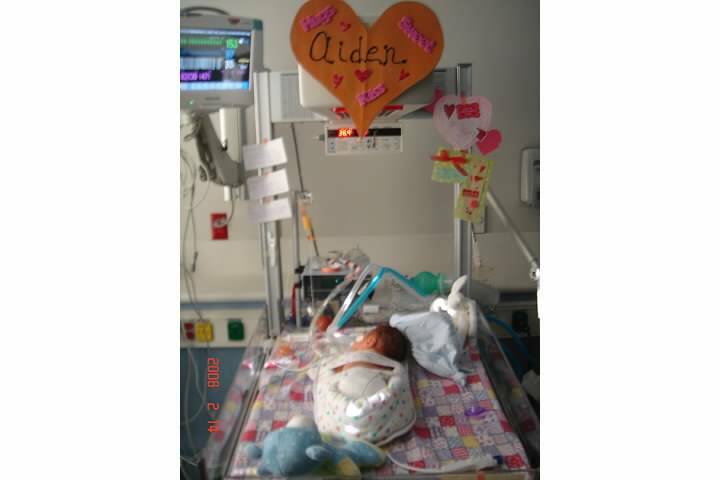 Aiden was whisked away to the NICU where he spent the next 2 weeks, while Ricky and I wrestled our emotions within the quaint concrete walls of the Ronald McDonald House Family Room housed in the lower level of the same hospital. I walked those halls - back and forth, upstairs and down - for 14 days. Delirious. Dazed. Grieving. And although I knew nobody could make it better - make him better - I came to appreciate the tenderness of the nurses who tried to help our boy as we wondered how to heal our hearts. It's been 7 years, so this "thank you" has been a long-time coming. The early days left little to be thankful for as our assumption of a healthy 2nd baby boy was abruptly replaced with shock, fear and anger. 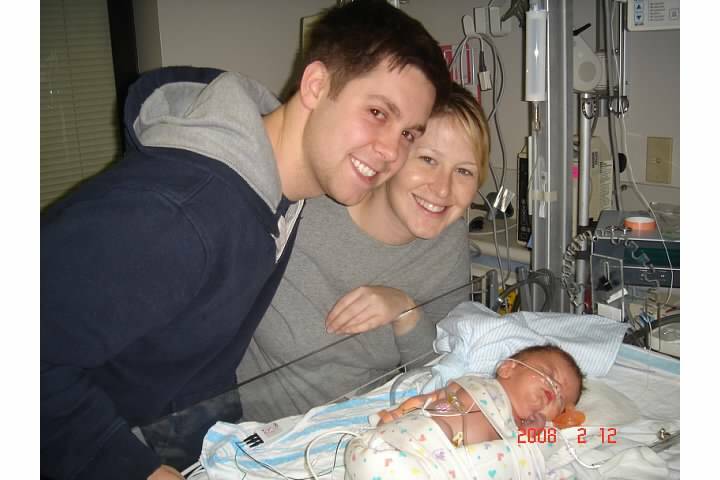 A sterile stay in the NICU is probably not how most families expect to start their journey with a new baby, so I'm sure you are used to the flux of emotions that come from our end of things. Looking back now though, I am able to truly grasp the gratitude I hold in my heart. Thank you for being there for my son. While my hands were shaky, trembling with fear, your warm and steady touch reassured him when I could not. You see, I was too scared. 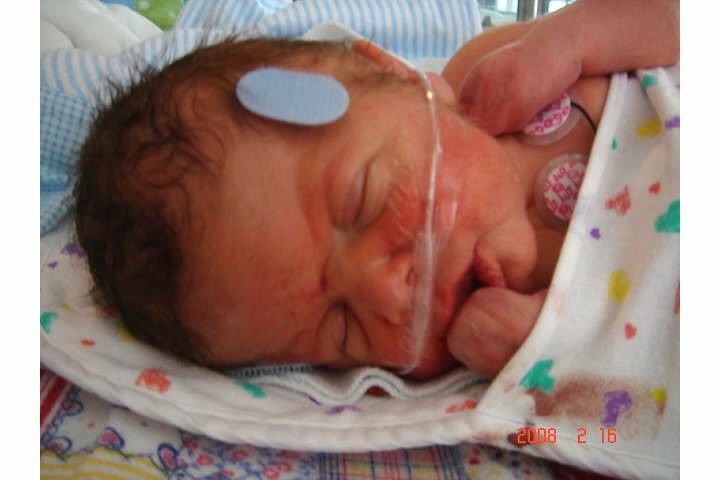 It sounds crazy, too scared to touch my own son, but with wires and leads and tubes attached to him in various places, I was terrified that I'd do him more harm than good if I stroked his belly wrong or made him wiggle too much. Thank you for your tenderness. You saw that we were scared. Scrubbing your hands and arms up to your elbows for a strict 3 minutes might be commonplace to you, but doing so before being allowed in to see our baby was definitely new to us. The first time around, we had the freedom to scoop up our infant as he slept within arms reach. We heard him breath all night long without buzzing machines and dinging bells. We felt like parents, not like visitors. When we stood outside the NICU doors with tear stained cheeks and bleary eyes, you stopped what you were doing to welcome us in. When just about everyone else met us with frowns and uncertain emotion, you didn't. Even though I couldn't see behind your protective mask, I could tell from your eyes that you were smiling. You walked us to our son's isolette, decorated with a big construction paper heart with his name, and reminded us that this home of his was temporary. You gave us hope when we had none. Thank you for your respect. You spoke to us in direct terms that we could mostly understand. And if by chance we didn't, you never made us feel silly for asking questions. When I was too nervous to give my own son his first bath, you walked me through it step by step. When I voiced my concerns, you listened. Even when we sometimes felt like it, you never treated us like victims. We were Aiden's mommy and daddy, plain and simple. You never made us feel small - and that helped to build our confidence. Thank you for your patience. Every night we made a list of questions. We made you stand there answering each one while we crossed them off our list. Sometimes, when we couldn't sleep, we came up at 3 or 4 in the morning to ask them again just so we could spin the answers around in our head and give our minds something to focus on. When I couldn't hear your responses through my heaving sobs, you gave me a moment to collect myself and simply tended to my child's needs. If I argued or got angry or demanded something of you, you understood it as raw emotions and didn't dish it back to me even when I may have deserved it. I promise I wasn't trying to be rude. I was just scared. Thank you for letting me be scared. Thank you for your encouragement. I was told many scary things about my son in those first few days. I watched as doctor after doctor came in to shuttle him from test to test. Talk of brain bleeds, organ problems, breathing issues, severe mental delays - I was flooded with so many negatives that my entire existence was shaken to its core. I searched for normal. And even though they said I would not be able to nurse my boy because of the anatomy of his mouth, something inside of me made me want to. When he was no longer intubated, you let me try. You showed me latching tricks and pulled up a rocking chair and shooed visitors when I was getting frustrated. You probably don't know this but I successfully nursed Aiden for 4 months. Had you told me no like everyone else had, I would have missed out on an invaluable lesson on perseverance. Something we have carried on into every aspect of Aiden's life. Please let this long overdue thank you letter serve as reminder on those really tough days - when you let the fear and misguided emotions from scared and tired parents make you doubt your very important role. We certainly didn't find hope from the doctors with their rushed search for answers, confusing big-words and "prepare for the worst" attitude. Without you, we would not have survived. HE would not have survived. We will be forever grateful. Every year on his birthday, I think of you. 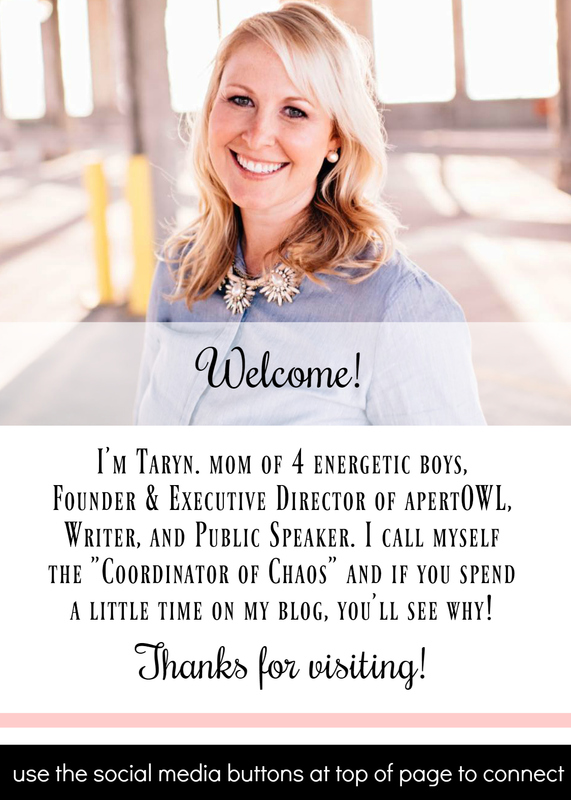 And I'm finally getting around to letting you know. What a wonderful ode to your nurses. I don't usually comment much on blogs, but I do keep up with your family on Facebook. Bless your family and thank you for sharing. Yes! I love to deep clean the house, purge and organize everything! I usually even paint a little!